Our X-Dreamer 3 provides the same quality and similar design as our previous X-Dreamer cases with some extra flair (and you can never have too much flair, right?) An updated design makes this case appear more sleek and modern than the previous models with the power and reset switches encircling the badass front LCD temperature readout. 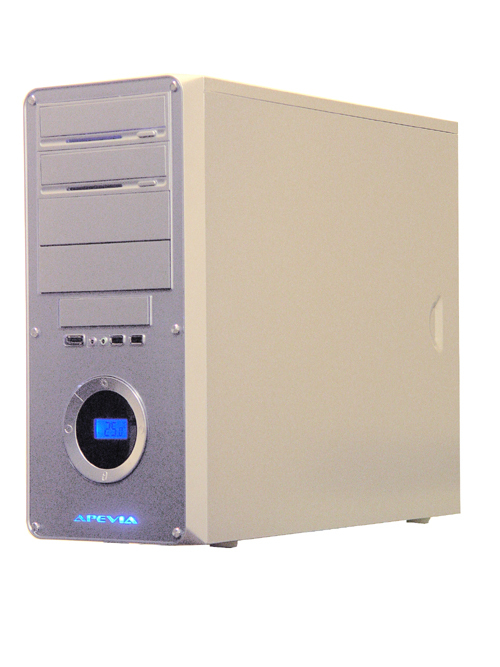 This rock solid chassis features front accessible USB2.0 ports, an eSATA port, and high definition audio ports for easy use of peripherals (that you got from Xoxide), innovative 5.25" drop-down doors unify the color of front panel, and built-in 120mm fans adds a breeze to your system not unlike keeping your fly open in a winter windstorm. Dimensions(DxWxH) 18.90" x 7.32" x 16.46"